A highly decorated and accomplished member of the Indian Police Service, he served the States of Assam and Meghalaya and has extensive experience in field policing, District and State level police administration, intelligence, counter terrorism and conflict resolution. At the Central Government level, he served the elite Special Protection Group (SPG), responsible for the security of the Prime Minister. During the course of his two stints in the SPG spread over a period of 13 years, he contributed significantly towards building and nurturing the SPG to be a world class security organisation that prides itself for its ‘zero error’ culture and commitment to continuous pursuit of professional excellence. 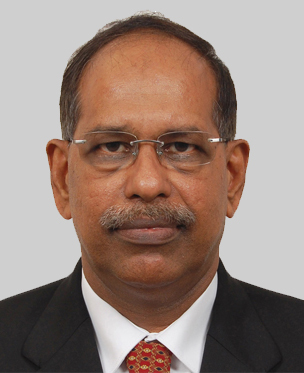 Ramachandran served as the Chairman and CEO of the Port of Cochin for the period 2005 -2011, during which period, apart from successfully implementing a slew of modernization initiatives, developmental and infrastructure projects, he also served as Chairman of the High Level Committee on the security preparedness of India’s Major Ports and commercial maritime operations. Ramachandran has done extensive work on the National Security implications of insurgency, terrorism, illegal immigration, and transnational weapons and drugs smuggling. Throughout his brilliant professional career in the Indian Police Service, he demonstrated a passion for excellence in his work and always took a fearless and principled stand.